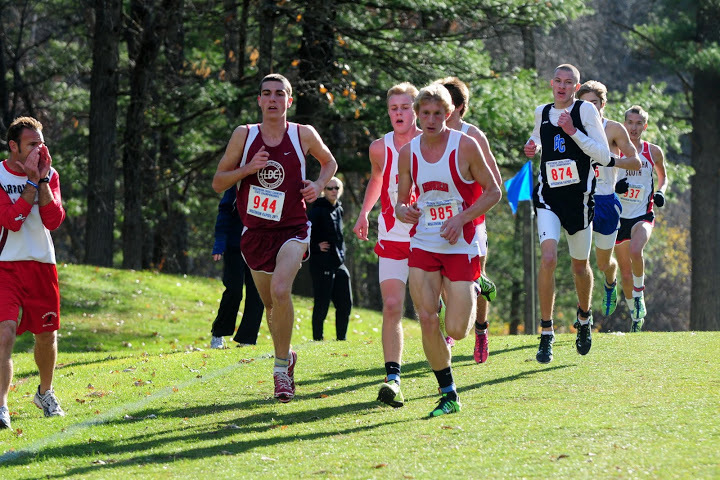 Lead D1 boys pack at state, photo by Mark Woodford. 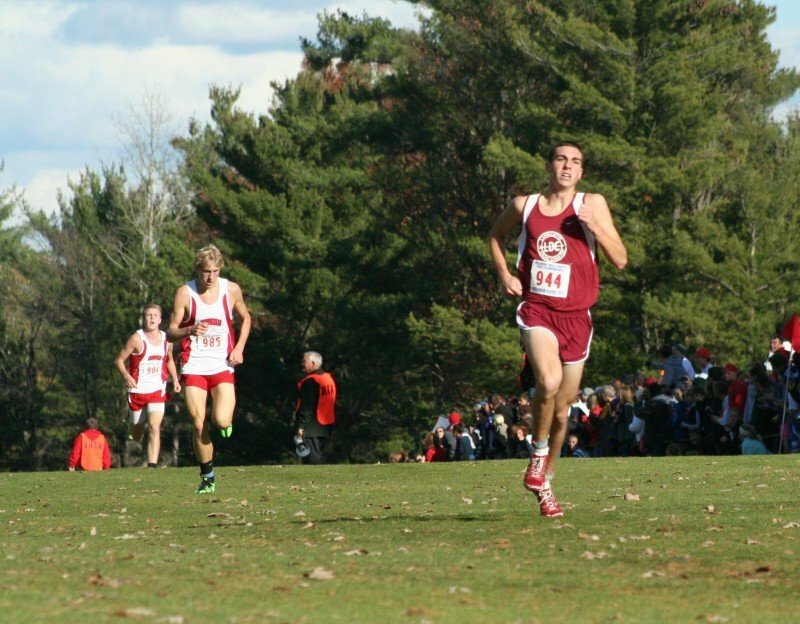 Junior Ryan Kromer coming into the finish at state, photo by Bob Burrows, Hudson Star Observer. D2 lead group near/just after the mile mark, photo by Mark Woodford. 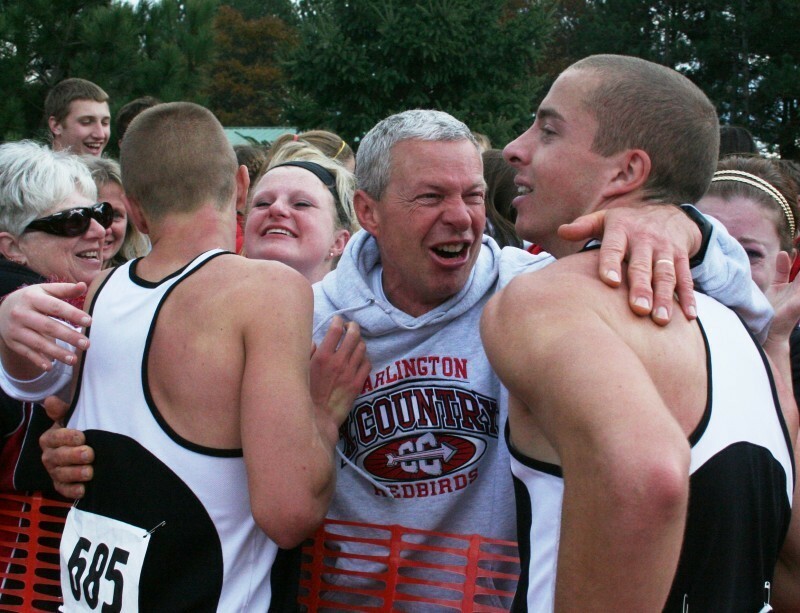 Coach Miehe embraces his two boys, D3 individual state champion Tyson Miehe and Darlington #4 runner Kent Miehe, as Darlington wins team title, photo by Rob Hernandez, Wisconsin State Journal. 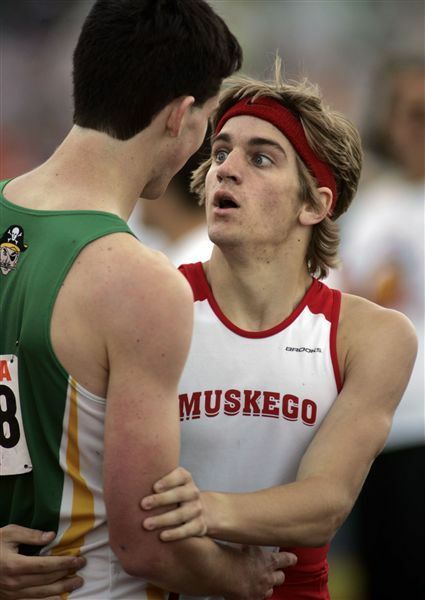 Diffee closing in on finish in D1 boys race, photo by Rob Hernandez, Wisconsin State Journal. 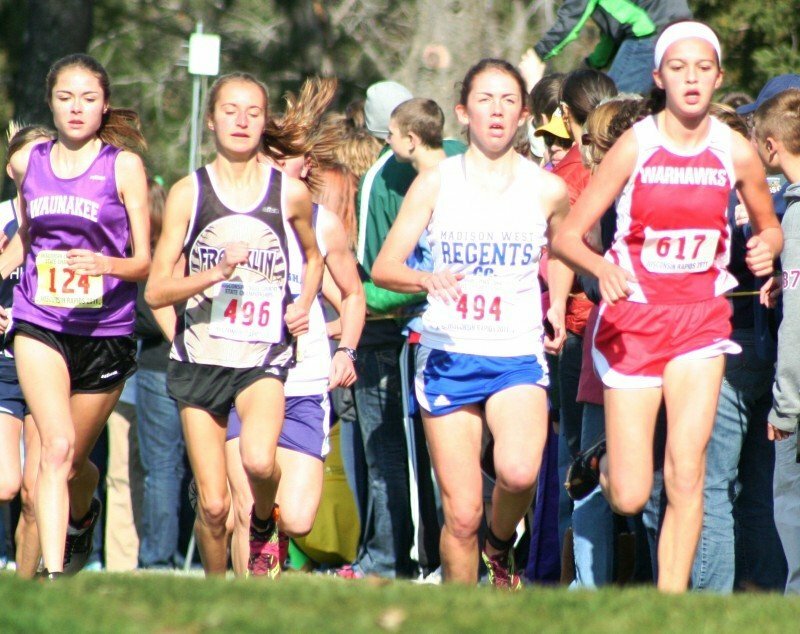 Lead D1 girls pack, photo by Rob Hernandez, Wisconsin State Journal. Coach Miehe embraces his two boys, D3 individual state champion Tyson Miehe and Darlington #4 runner Kent Miehe, as Darlington wins team title. Awesome picture, can’t even imagine how that felt for him and Tyson and Kent. Photo by Jodee Boyd, Milwaukee Journal Sentinel. Mike Peterson of Nekoosa/Port Edwards closing in on the finish of his 12th place finish in D2. Random Lake’s Delaney Sinnen finished 4th in the D3 race after being sidelined with a stress fracture for most of the season. 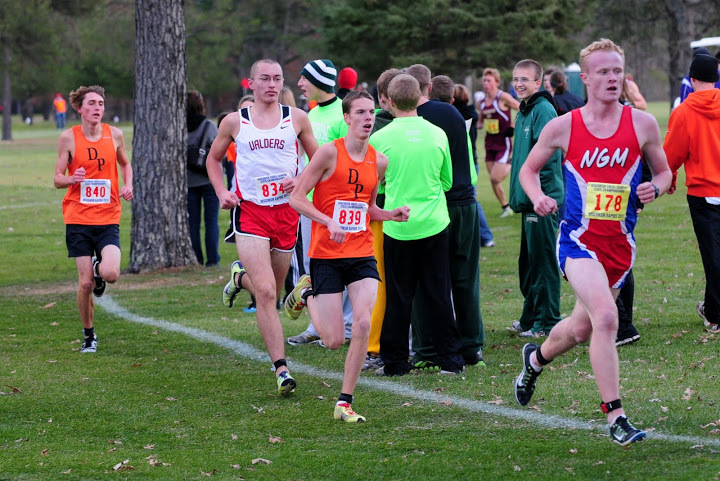 Best part of this picture from the start of the race, not a single Arrowhead runner in the front. Pretty sick shot of Gabe Heck in Cornell uniform! This is one of the coolest pics i’ve ever seen. Heck looks like a beast…well he is. John Stearns, South Milwaukee finishing at 1946 Class A state meet (Grant Park, South Milwaukee). This way uses the shortcut menu above the text area where you write posts.